SAN DIEGO – It’s a Hollywood movie: a dog lost at sea several weeks ago is alive and about to be reunited with its owner. 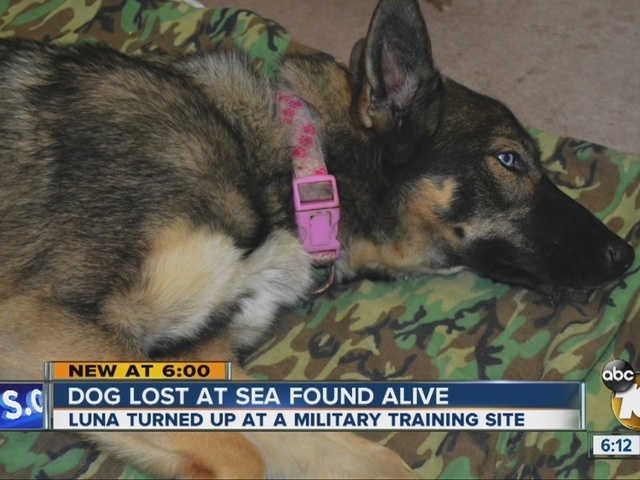 Last month, Luna, a one-year-old German shepherd, fell off a fishing boat near Naval Auxiliary Landing Field San Clemente Island. The island is packed with dangers because it is used by the military to practice live fire exercises. Five weeks went by, and Luna was believed to be dead. To everyone’s surprise, this week she walked right up to Navy staff on the island. They plan to fly her in to Naval Air Station North Island in Coronado at 4:30 p.m. for a reunion her owner never thought would happen.